So far the private dining places I have visited are mostly serving Peranakan dishes. For a change, we decided to check out Ben Fatto 95, a new player in the scene focus on homemade pasta. 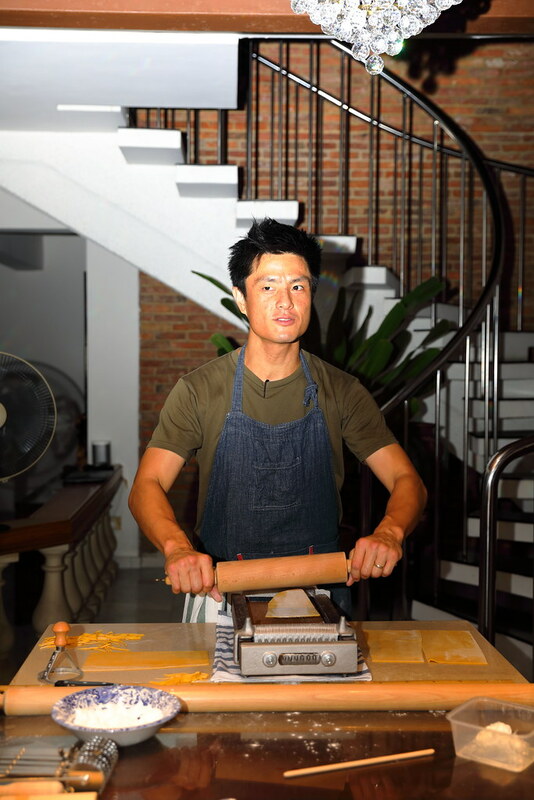 Ben Fatto 95 is helmed by Chef Yum Hwa, who showcases a variety of freshly made pastas to his guests coupled with his story in discovering the different pastas around the world. Our dinner started with some homemade pickles to whet up the appetite. 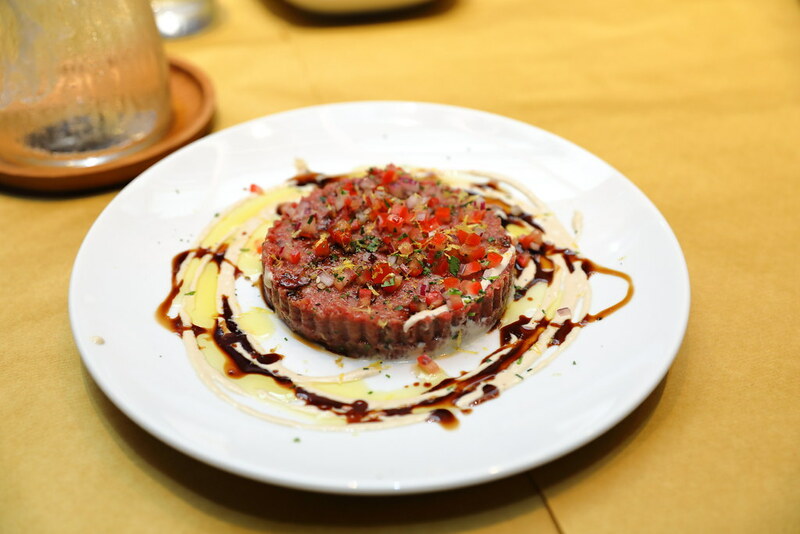 The Steak Tartare is hand chopped using the the skirt cut instead of the usual filet mignon or tenderloin. The effort can be tasted in the tenderness. The seasoning was also spot on with the used of Italian fish sauce and olive oil. 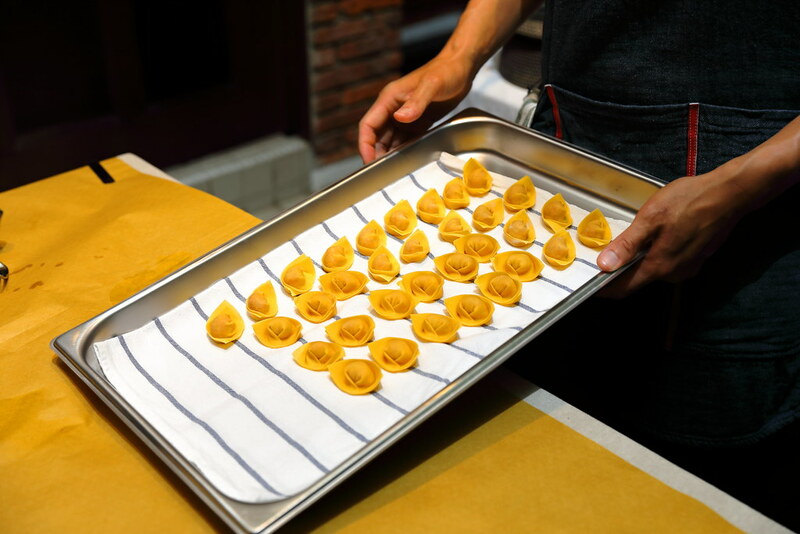 First up is the Tortelli is the pasta sheet is made using soft wheat flour and shaped by mattarello (rolling pin). The parcels are filled with garlic ricotta and sealed by hand. The addition of garlic helps to cut through the creaminess with a soft innard. 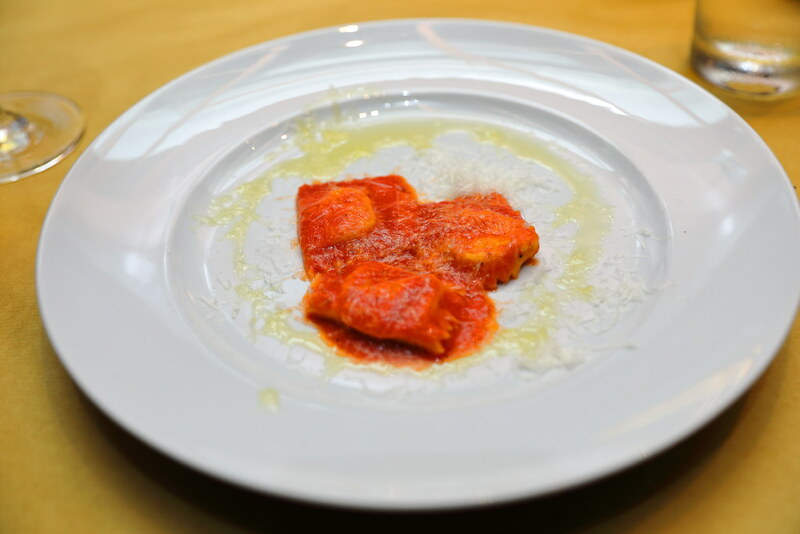 This is complemented by the fresh tomato sauce and finished with parmegiano reggiano. This is really good but the portion is a little small after all the anticipation. 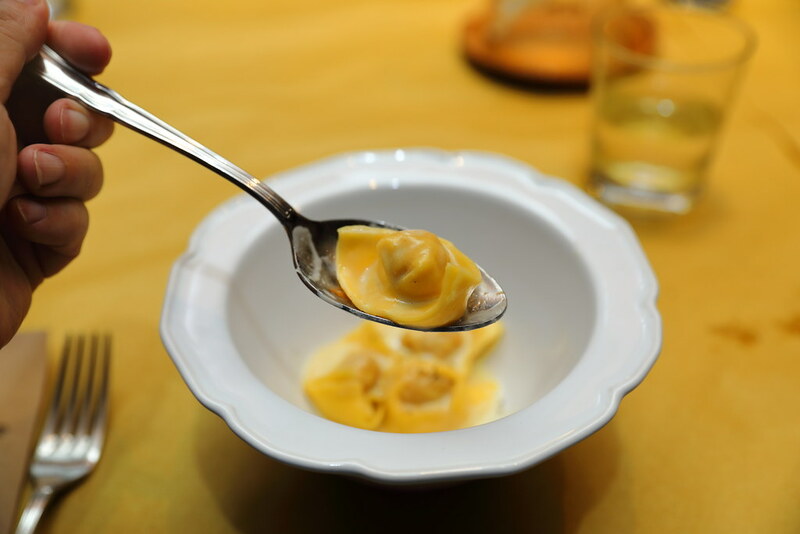 I love the shape of the Cappellacci. Though it is said to be shaped like a nun's habit, I thought it looks more like golden ingot. The prized ingredient is the culatello, one of the most prized salumi in Italy that is stuffed inside the cappellacci. Chef Yum Hwa has hand carried this back from Italy. This is paired with a cheesy cream based sauce which smartly balanced the intensity of the salumi. What makes Ben Fatto 95 private dining experience different from the rest is the hands on experience. 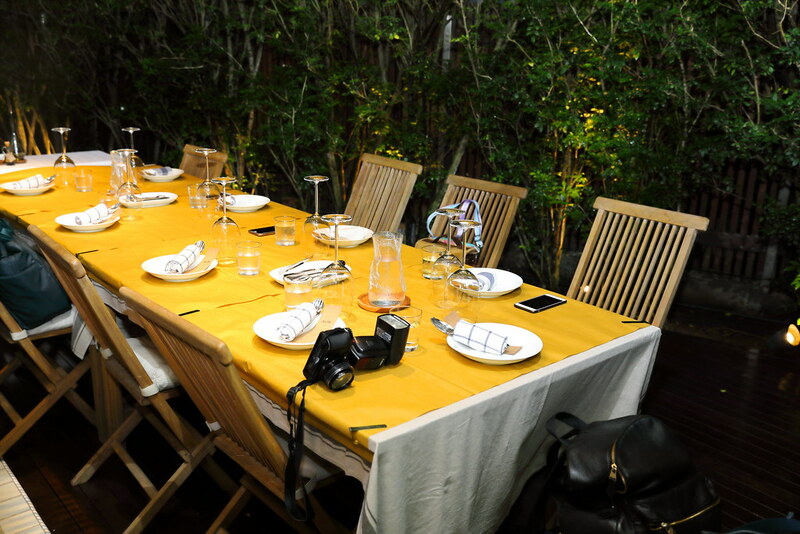 Besides the education on the different forms of pasta, guest will get a chance to roll their own pasta too. The next pasta is named and inspired by Pastaio David. Shaped like a leaf is the Cresc' Tajat pasta. It is a form of short pasta from Le Marche made with polenta and wheat flour, cut using a bicicletta and folded by hand. It is then cooked with clams and legumes. Finished with a pancetta gremolata and garlic oil. I like how the pasta catches the sauce, allowing everything to come together in one bite on top of its al dente texture. The last pasta dish is Tagliolini all' Uovo. 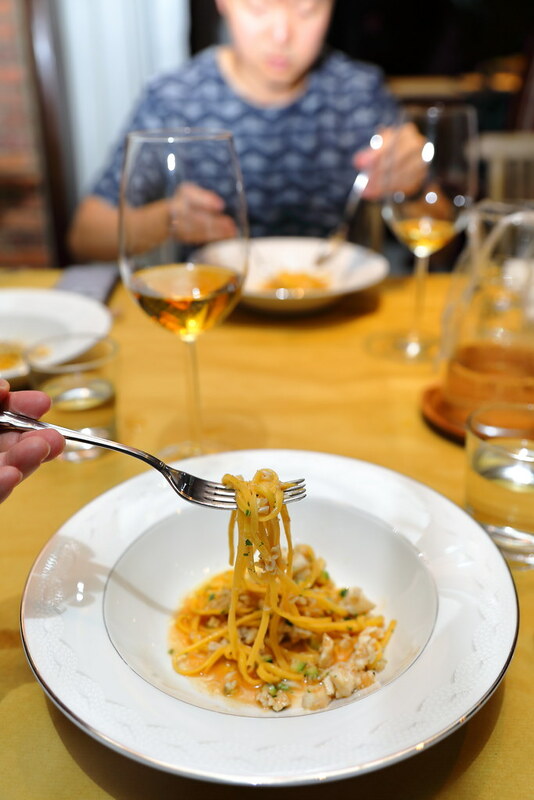 The long egg pasta is cut using a chitarra (traditional cutting utensil). It is then cooked with snapper and zucchini in a shellfish broth. 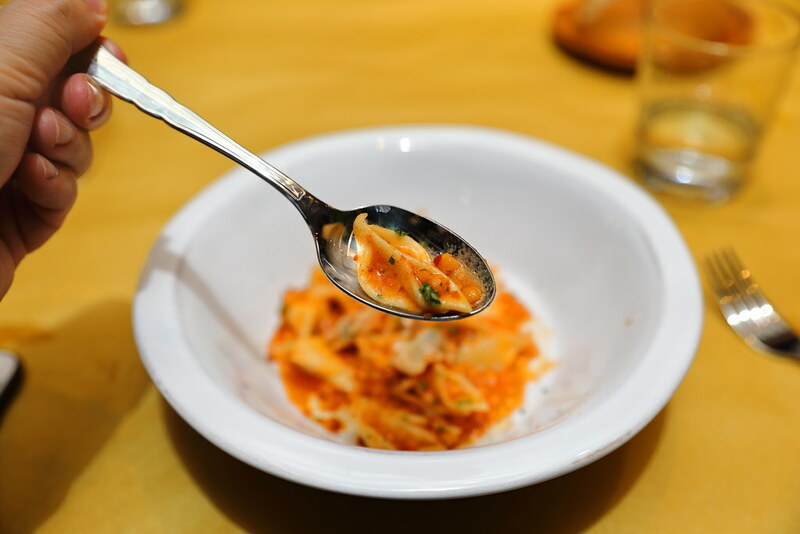 The bite of the pasta and its flavour are more familiar to the Asian's palate which we can find an association with. It is like have a plate of stir fried egg noodles. 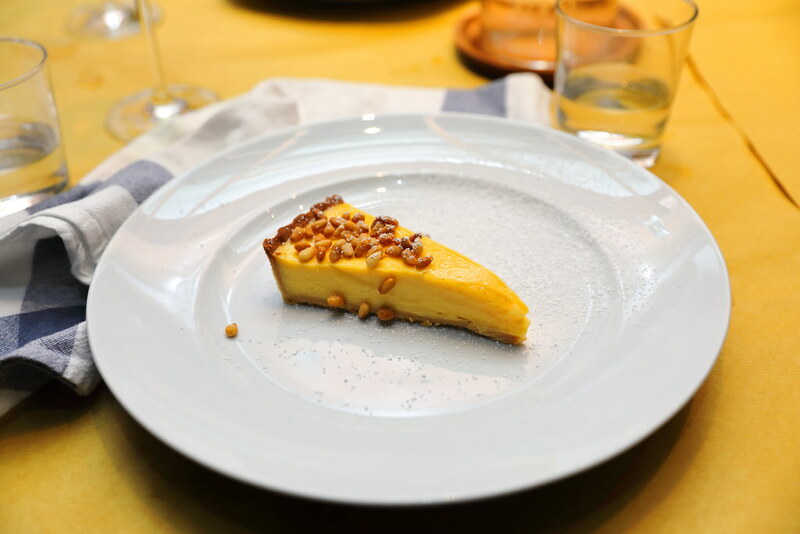 Wrapping up our dinner is the Torta della Nonna, a classic lemon and custard filling encased in a homemade pastry crust. It is then topped with pine nuts and dusted with powdered sugar. I personally thought the lemon tart can be more sour. We pay $90 per pax for 7 courses. It is definitely a different form of private dining I have attended so far. It is an educational journey into the world of pasta. I really appreciate the experience. 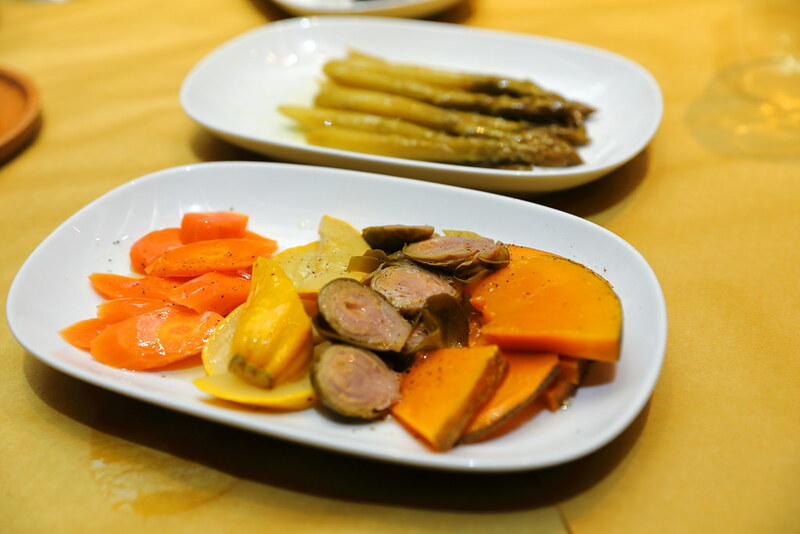 However I think the flow and portion of the dishes can be fine tuned, as some of us find the waiting time in between courses are a bit long and most of us left the place feeling not full.